Crafted to resemble the septagram; a seven pointed star often associated with elves and fairies, the seven alchemical metals and planets, as well as the seven days of creation in Judeo-Christian religions. 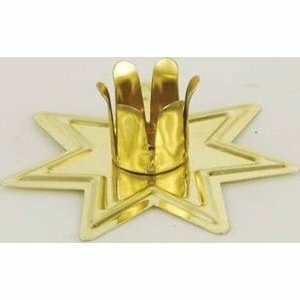 These simple and economically priced candle holders help create an elegant atmosphere. This is a single gold-toned chime candle holder made of metal.